WASHINGTON — The chairman of the Joint Chiefs of Staff said Sunday he worries that North Korea is advancing its potential nuclear capability toward “real life” after a scientist reported new activity in its atomic program. The American nuclear expert who recently visited North Korea, Siegfried Hecker, says he was taken to a small industrial-scale uranium enrichment facility and told that low-enriched uranium was being produced for a new reactor. Adm. Mike Mullen, the top U.S. military officer, said such activities would violate U.N. Security Council resolutions and agreements by North Korea over its nuclear program. SEOUL — North Korea bombarded a South Korean island with dozens of artillery shells Tuesday in one of the fiercest attacks on its neighbor since the Korean War ended in 1953. South Korea’s military said two soldiers were killed, 17 were wounded and three civilians were also hurt after dozens of shells hit Yeonpyeong island. Most of the shells landed on a South Korean military base there, YTN Television reported. South Korea returned fire and scrambled F-16 fighter jets, military officials said. YTN television said dozens of houses were on fire on Yeonpyeong, about 75 miles west of the capital Seoul. The station broadcast pictures of thick columns of black smoke rising from the island. Screams and chaotic shouts could be heard on the video. YTN said between 1,200 and 1,300 people live on the island. Yeonpyeong, which houses military installations and a small civilian population, is located off the west coast of the divided peninsula near a disputed maritime border. The area has been the focus of two previous deadly battles between the Koreas. North Korea’s official Korean Central News Agency claimed that South Korea fired first, Reuters reported. The clash came amid South Korean military drills in the area. “The last thing we want to do ourselves is take any provocative actions. Nobody’s interested in escalating this right now,” a senior official told NBC News. The two Koreas are still technically at war — the Korean War ended only with a truce — and tension rose sharply early this year after Seoul accused the North of torpedoing one of its navy vessels, killing 46 sailors. China is North Korea’s only major ally, and its economic and diplomatic support have been important to shoring up its otherwise isolated neighbor. Kim Jong Il visited China twice this year to strengthen ties. The countries’ western maritime boundary has long been a flash point between the two Koreas. The North does not recognize the border that was unilaterally drawn by the United Nations at the close of the 1950-53 Korean War. Longtime NBC News producer Bob Windrem explores what’s known and unknown about North Korea’s development of nuclear weapons. This is a companion piece to his article published today on msnbc.com, “Deciphering clues to North Korea’s mysteries,” in which he analyzes possible reasons behind recent North Korean belligerence. One year ago today, I reported that leaked British government documents call into question ex-Prime Minister Tony Blair’s public statements on the buildup to the Iraq war and show plans for the U.S.-led 2003 invasion were being made more than a year earlier, in February 2002, shortly after the attacks of 9/11. 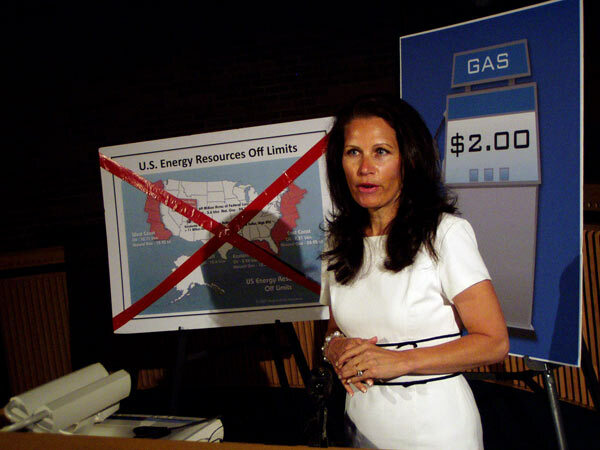 Two years ago today, on Nov. 22, 2008, I noted that in the summer of 2008 U.S. Rep. Michele Bachmann claimed she could lower the price of gasoline to $2 a gallon in about two years by increased drilling, including offshore drilling and drilling in the Arctic National Wildlife Refuge; however, just a few months later the price at the pump dropped to nearly $2 in a matter of weeks, purely as a result of reduced demand during the economic recession.